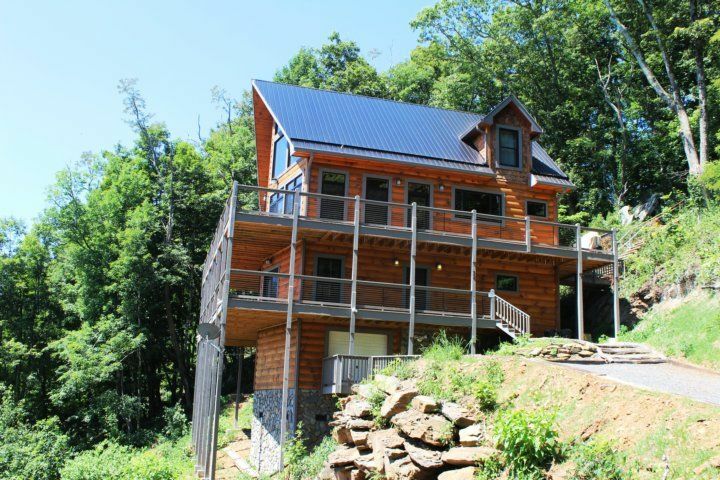 Todd, NC - For the ultimate in vacation pleasure, try this stunning new three level custom luxury home near Boone & West Jefferson with breathtaking views.Just minutes from shopping, restaurants, golfing, tennis, canoeing, biking and hiking on the Blue Ridge Parkway. 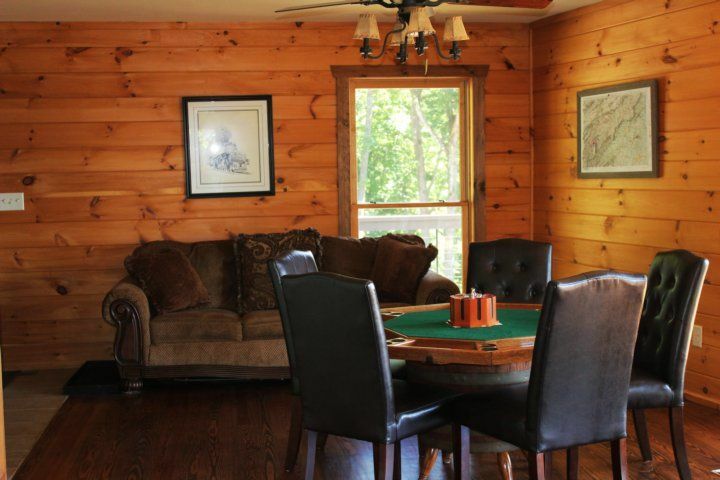 This four bedroom, three bath home offers a theater room with leather recliners, game room with TV, pool table, poker table, and large hot tub. 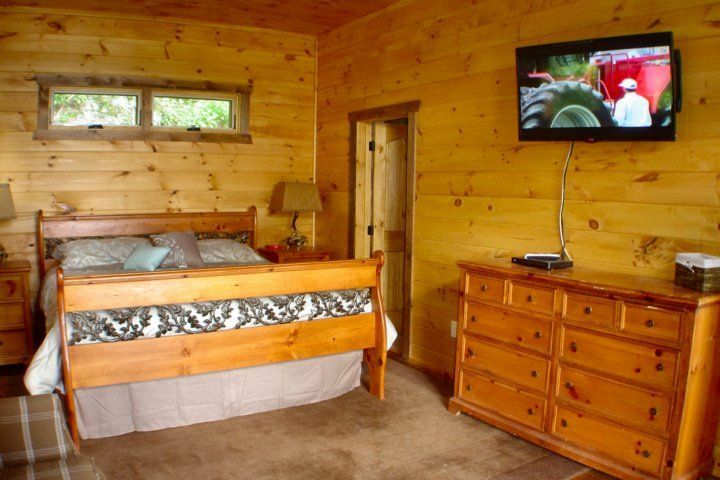 HDTV's with DVDs for your entertainment. 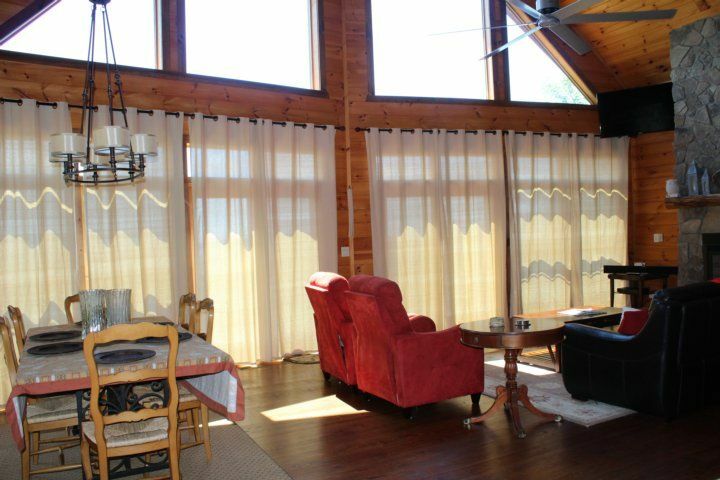 Massive floor to ceiling windows and large decks to enjoy the outdoor views. Soaking tub and oversized shower in the master bath. 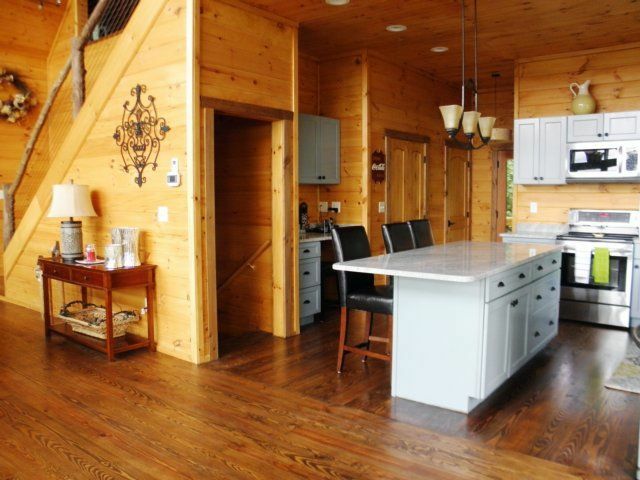 Stunning furnishings and over 3000 sq ft of spacious open floor plan easily accommodates family groups. Gated community offers privacy and security. All size pets permitted. 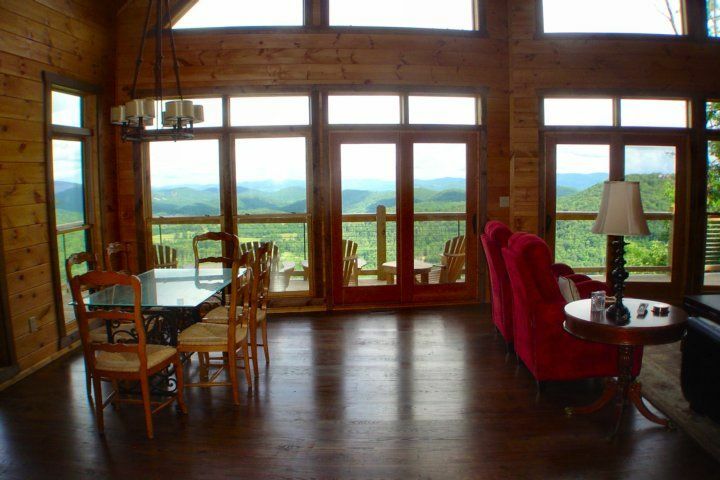 Owl's View is a Carolina Mountain Properties & Rentals property. Our calendar and rates are updated instantaneously. 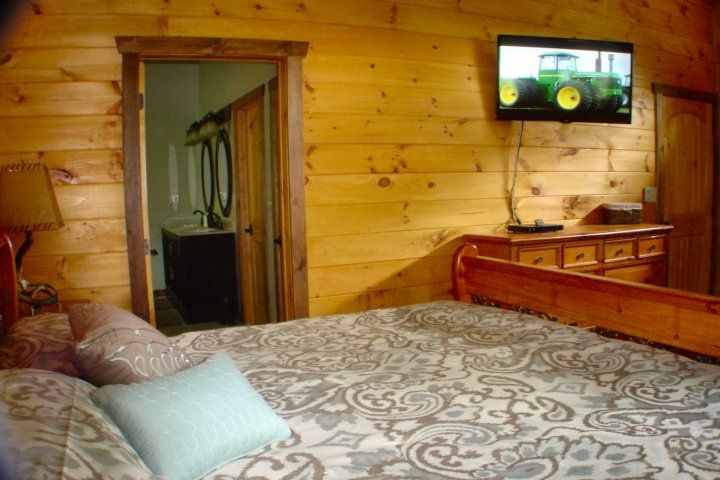 We strive to make it as easy as possible to stay at one of our properties. We will notify you proactively when an early check in is possible and you?ll receive the comforts of a luxury home when you arrive with a starter supply of paper products, hand soaps and lotions. In addition, we offer 24/7 emergency after hours service. 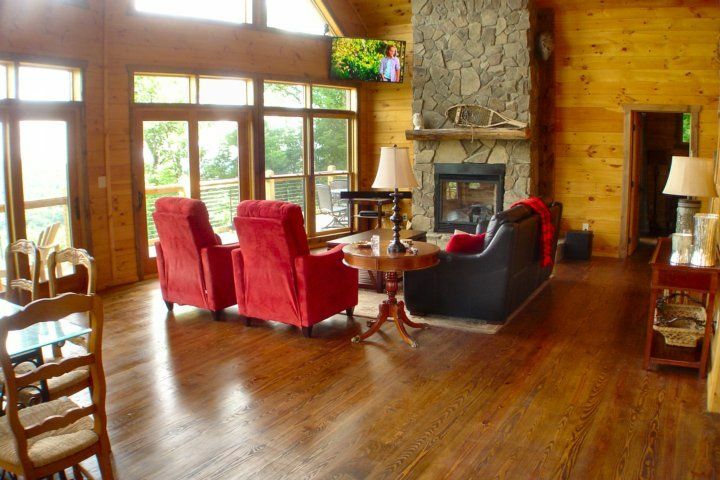 Carolina Mountain Properties & Rentals uses one of the industry?s most trusted brand of software to securely store all guest data. 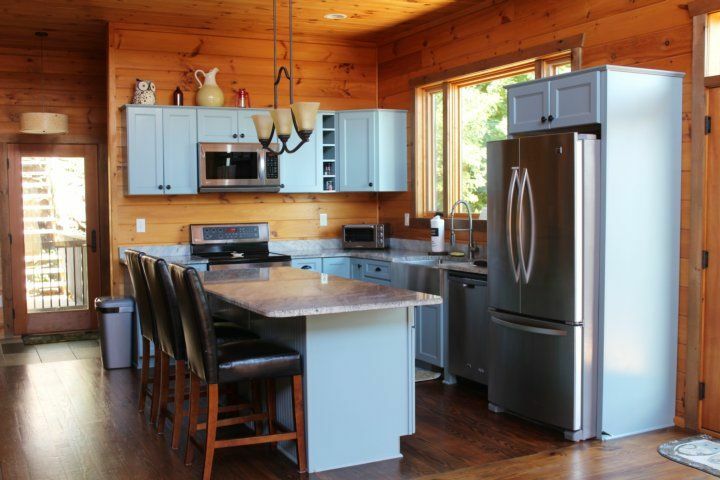 All of our vacation rentals follow local and state tax rules. 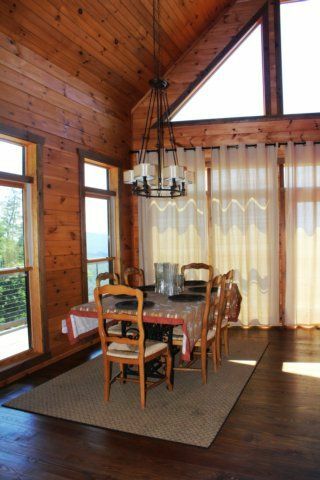 Each reservation includes applicable taxes, linen cleaning fee, and a processing fee. 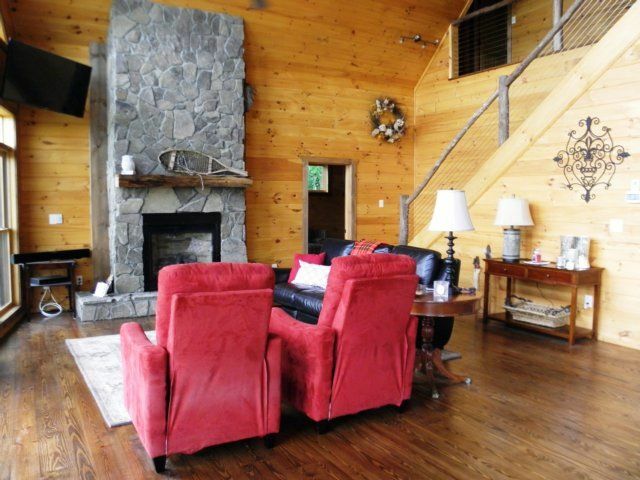 Carolina Mountain Properties & Rentals also offers an optional trip interruption insurance to protect your investment. I can describe everyone's opinion in one statement. Everyone in the group wants to do this again next year,"SAME CABIN"! Views were awesome,the theater room was outstanding and kitchen was well stocked. 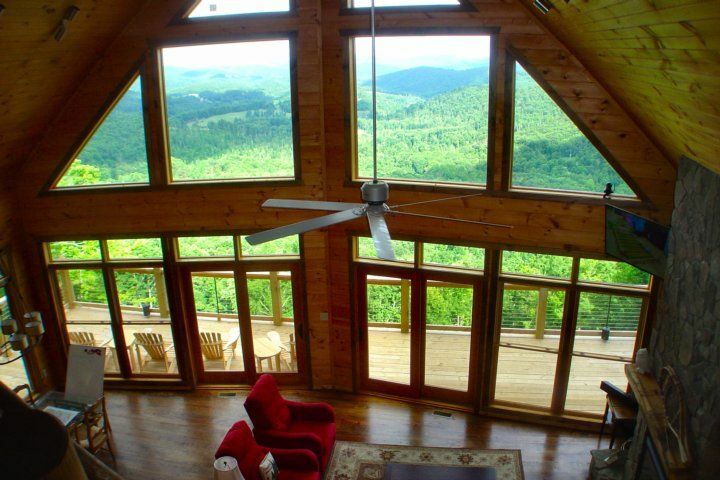 Beautiful home and amazing views! What a view! The home is beautiful and had everything we needed for our stay. 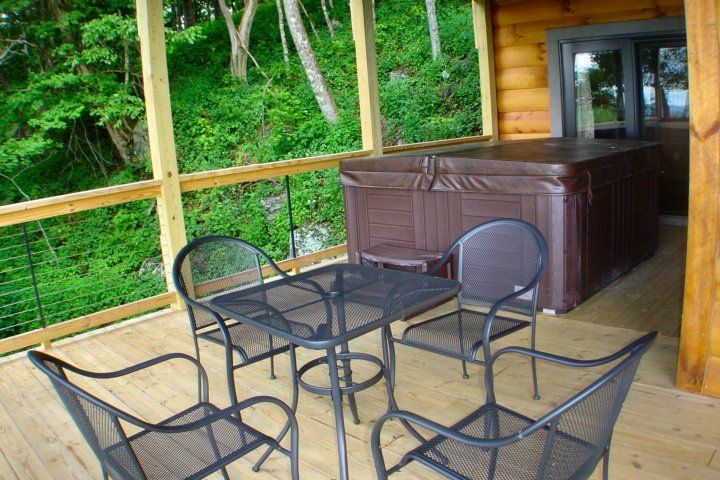 It has plenty of room, is well maintained, clean, and was perfect for our vacation/work trip. 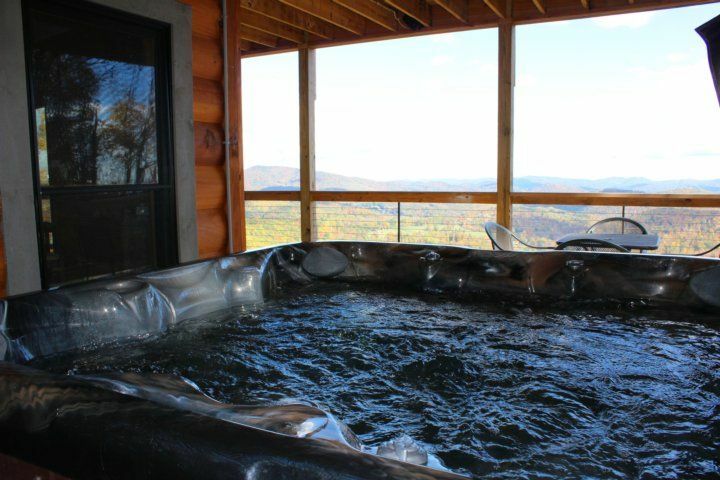 The hot tub was wonderful for evenings after a hike. 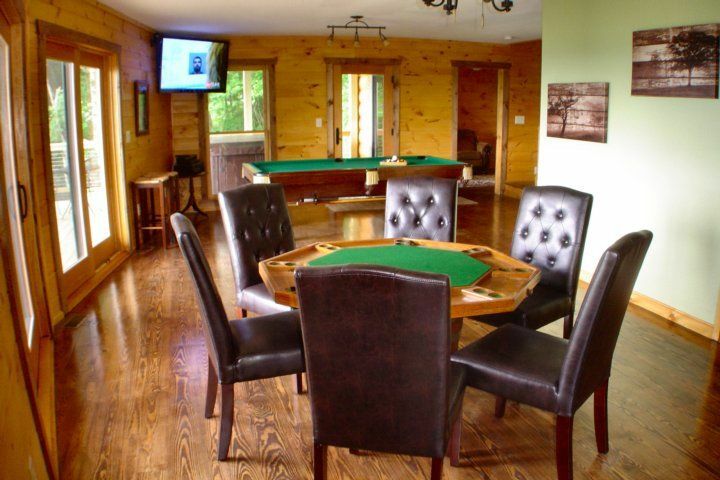 The game room was fun for all..and the movie theater room was just amazing! We stayed over the July 4th holiday and could see fireworks from several towns away. Could get to Boone within 25-30 minutes. Would definitely stay here again. 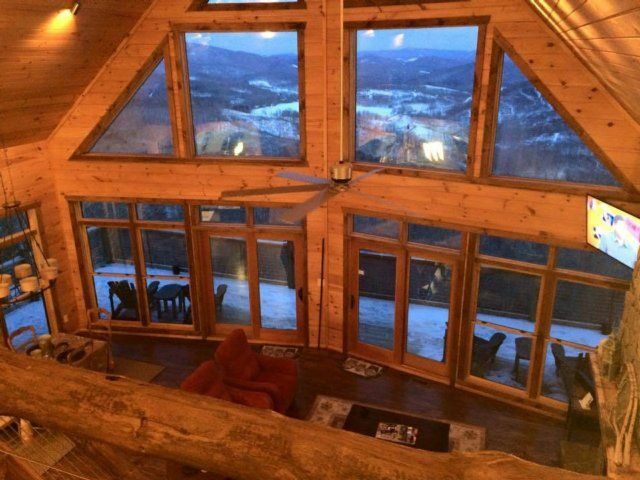 This property is beautiful! Fantastic views. The home is beautifully decorated and very clean. Comfortable beds. Plenty to keep kids and adults occupied. We would love to come back again. 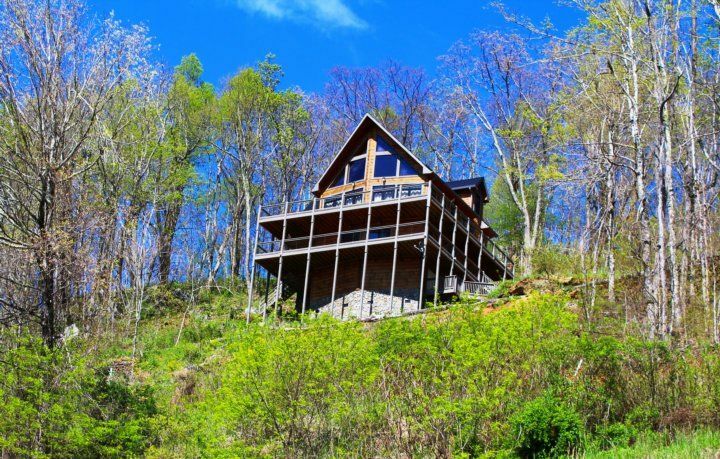 Impressive house, incredible view, quiet retreat! We enjoyed our stay at Owl’s View! We ranged in age from 21-71 and everyone loved it! 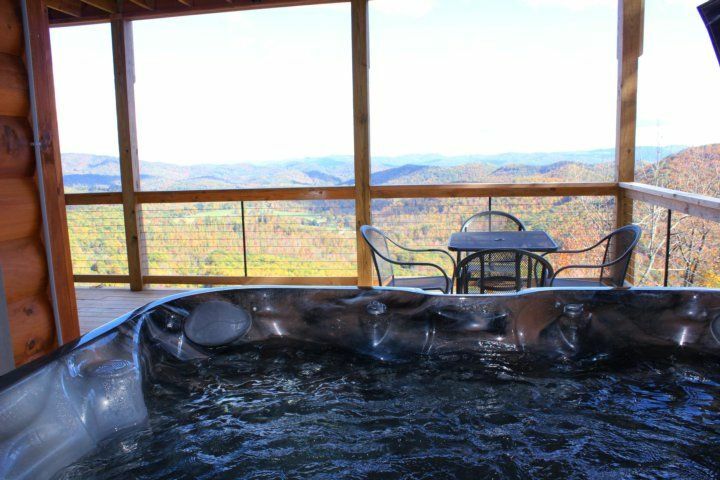 The movie theater is awesome, as is the game room, hot tub and the VIEW! Corn hole was a bonus activity that we were not expecting!